Closing the loop in your communications needs - Edison Digital Signage Solutions will help you communicate by providing 24-hour points of information that communicate key information to your customers at the right place and time. 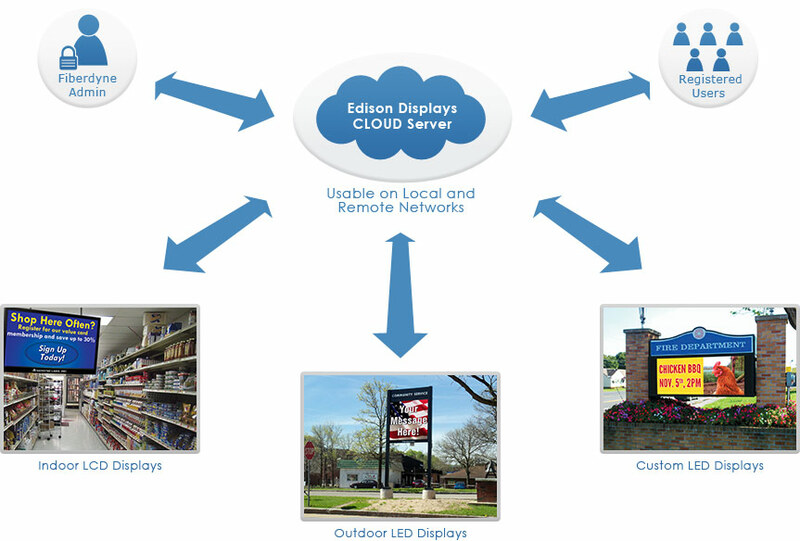 Our complete signage concepts combine interactive kiosks and screens, indoor and outdoor digital signs, together with our Edison CLOUD™ content management software solution. These resources are a powerful accelerator for your marketing strategy, promoting your advertising and drawing customers to the store. The Edison CLOUD™ content management software provides a complete digital signage solution to manage, schedule, and deploy your PR and advertising. It provides you with the tools to easily assemble engaging content and share information with your customers - communicating with them when they are listening.